We are a premie re vehicle wrap and custom graphic design shop located in Fort Worth, TX, offering a wide variety of commercial vehicle wraps for the entire DFW area and surrounding locations. If you are looking to take your brand, products or services to the next level we can make that happen! 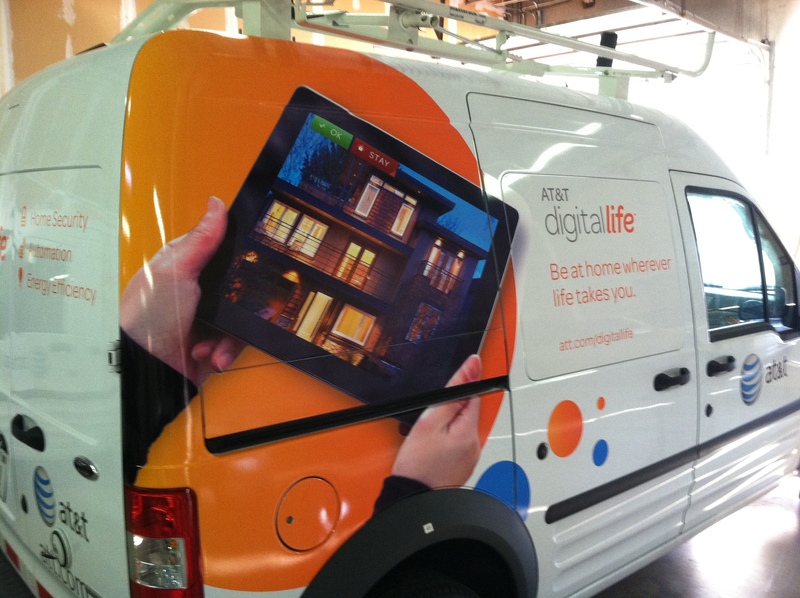 Vehicle wraps are an excellent form of advertising for your business or franchise. The versatility and customization possible with commercial vehicle wraps allows for an unlimited number of ways to boldly make a statement and bring your brand to the public eye. By reaching potential customers that aren’t regularly exposed to websites, television, or newspaper ads, you can greatly extend the reach of your company and potentially make up to 70,000 new impressions each day, simply by driving down the road! With traditional listings, you could pay up to $10,000 a year in advertising costs while having to share a limited space with direct competitors in the hopes that a potential customer will happen to read that newspaper or directory above all the others. A wrapped vehicle is like a salesperson that never sleeps. It is working for you 24 hrs. a day/ 7 days a week and never lets you down! Let the people in your area see your services and impress them with your professionalism. 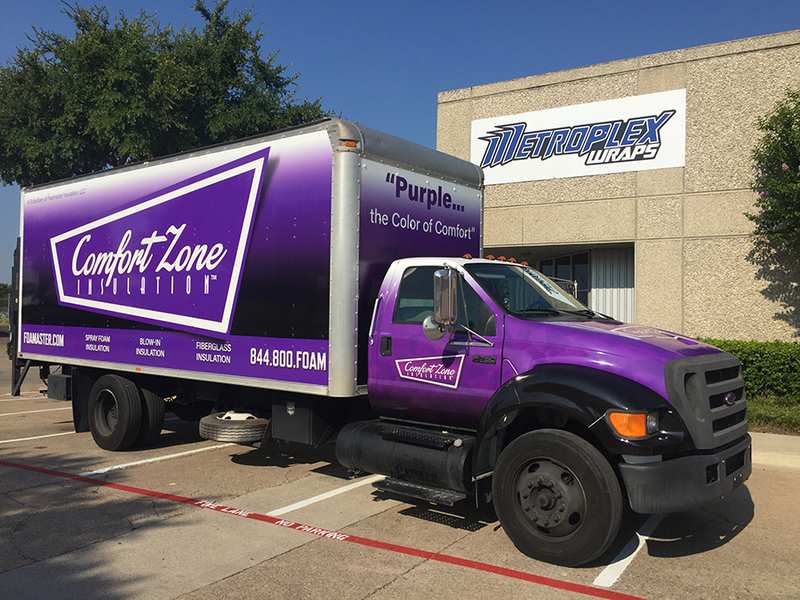 At Metroplex Wraps we strive to create an effective brand message that will help increase your bottom line. Full Auto Wraps – By wrapping the surface of the vehicle from the front bumper to the back, we can maximize the impact your mobile advertisement will have on potential customers. These are the most popular vehicle wraps because they command the most attention, especially when graphics extend beyond the painted surfaces of a vehicle. Half Auto Wraps – By covering a portion of the vehicle and blending our vehicle wrap with the original paint color, we can provide a full-wrap look without the increased costs of an entire vehicle wrap. This provides an excellent form of advertisement that helps reduce some of the upfront cost. Because auto wraps don’t require continued costs, and only need minimal upkeep to continue looking great and offering valuable protection, they are one of the most cost-effective ways to display important company information to potential customers and help establish your company’s identity within a market. We can work with franchisees to ensure graphics and messages adhere to a company standard, ensuring all images are pre-approved for use by franchisees. No matter how big or small your business may be, we are happy to help generate extra awareness for your brand!